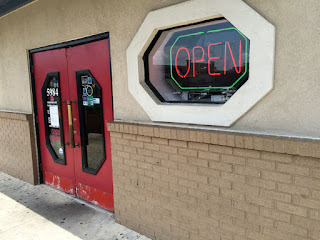 You can find Canton Cooks at 5984 Roswell Rd NE, Atlanta, GA 30328 in the Exchange shopping center anchored by Whole Foods, at the intersection of Hammond and Roswell roads. 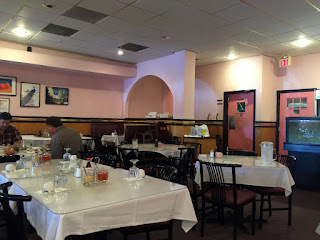 You can also find two of my favorites, Hearth Pizza and Mike's Hotdogs in the same shopping center so there are several alternatives if you're not in the mood for Chinese food. Since the restaurant is in the middle of a strip-mall, it doesn't look like much - you'll find it from the octagonal window and red double-door entryway. 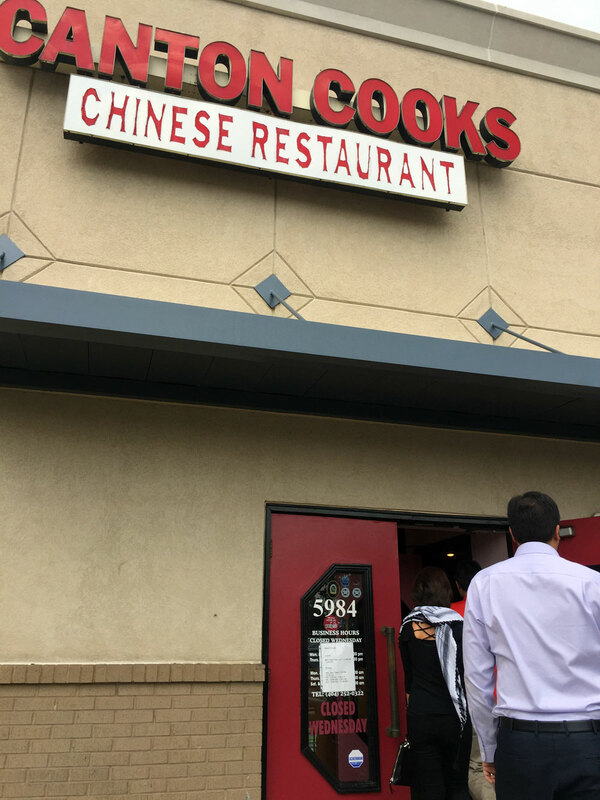 I've been coming to Canton Cooks for many, many years and it's identified as a favorite by Sandy Springs locals. 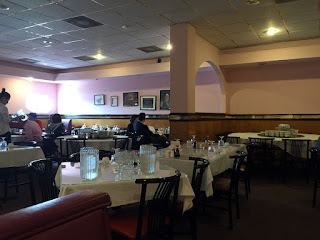 While it's not exceptional swag (aka Americanized) Chinese Food, it does have all your basics and does them well - it's also been very consistent throughout the years I've visited, that's been at least 10 years and introduced by my friend Alec P (who's now off in LA producing movies). 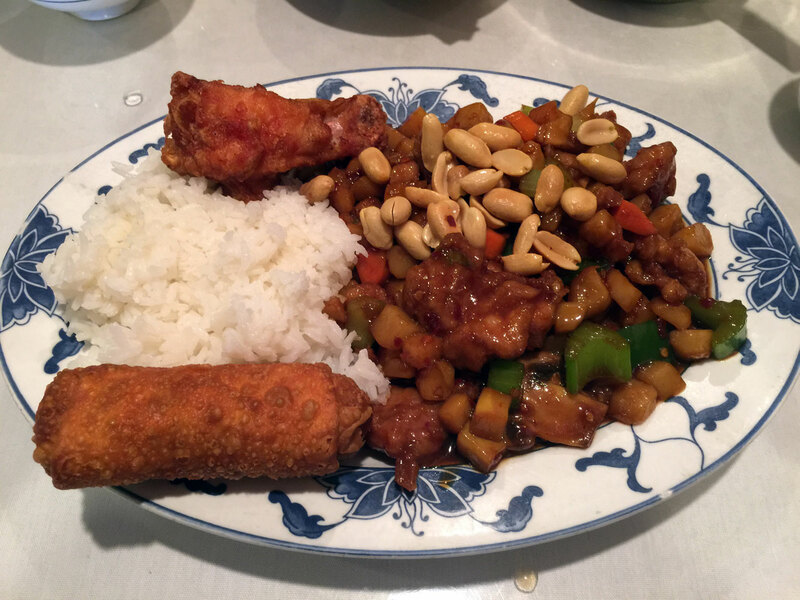 Besides consistency and convenience, Canton Cooks also offers incredible value for the food it produces, especially during lunch. It's really the only decent Chinese restaurant within several miles and much better than Chin Chin 5 down the street. The interior is larger than you would expect, but a bit dowdy/dated (the place has been here for some time and could use some freshening). Don't let that scare you off though as the food is good. Most recently I visited with my usual lunch crew - we were greeted with a half-filled restaurant (we were early) and immediate seating. The food came out fast and blazingly hot. 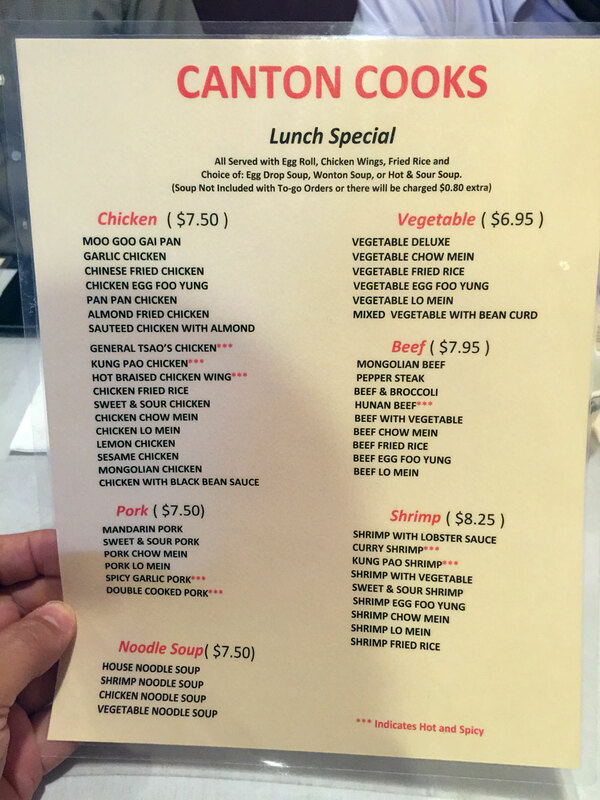 Lunch comes with your choice of hot-and-sour or wonton soup plus a spring roll and crispy chicken wing. 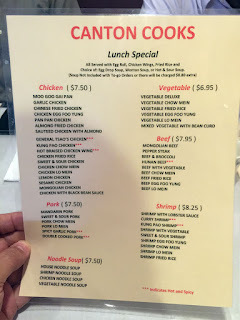 Lunch prices here are way cheap, between $6.95 and $8.25. I think Sangam and I had the hot-and-sour soup (Sid passed due to the chicken broth) - it was good but nothing special. 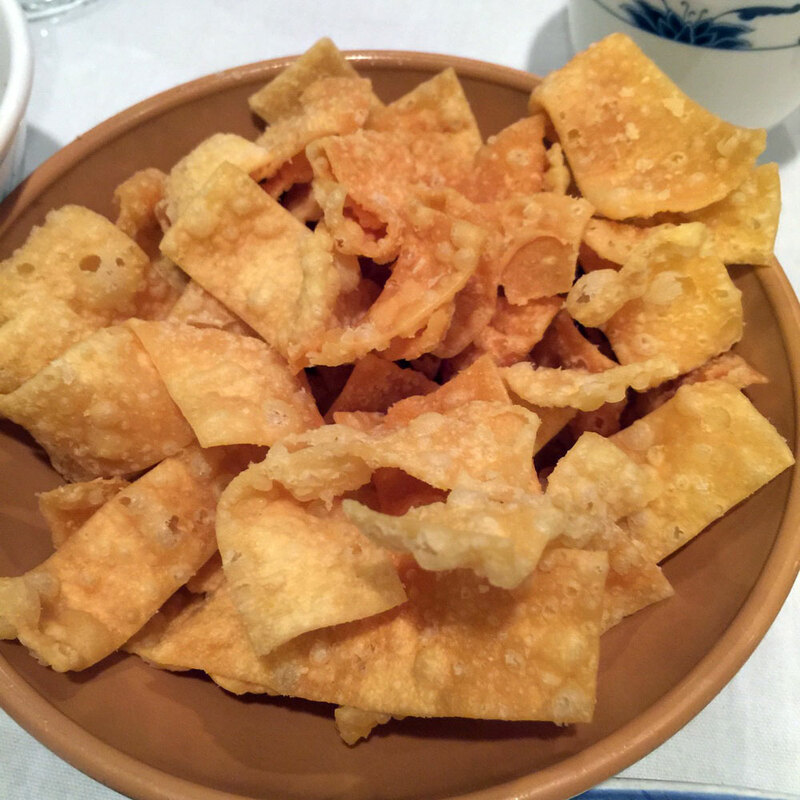 It came with fried wontons, your basic bowl of deliciousness we all know we shouldn't eat but do anyway. 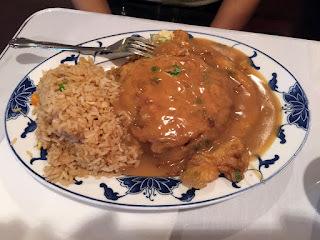 My eggetarian friend Sid ordered the veggie egg foo yung. It was good but next time he say's he'll get it without the brown sauce. Fried rice for him and of course, sans wing. 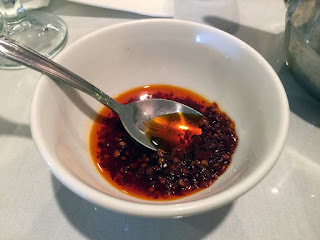 Sangam and I both ordered the Kung Po Chicken - the chicken was flavorful but a little bland - nothing that a spoonful of chili oil can't fix. Plenty of veggies and peanuts. 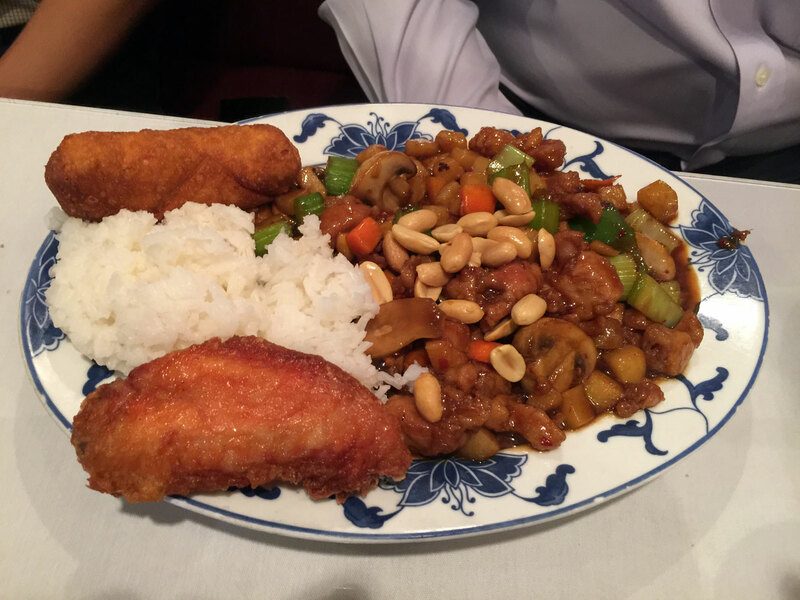 We both opted for steamed rice. The food was tasty and well done - the portions were large and the service exceptional. For all you Chinese food snobs, this place isn't bad at all and for Sandy Springs, well worth trying out.